B. Thomas (Arlington, Texas, United States) on 15 November 2017 in Plant & Nature and Portfolio. Beautiful view through the tree trunks ! Les ombres, la lumière et les couleurs sont splendides: magnifique composition! Bonne journée. The shadows, the light and the colors are splendid: beautiful composition! Have a good day. Au travers de ce troncs de bouleaux quelle couleur et vue. 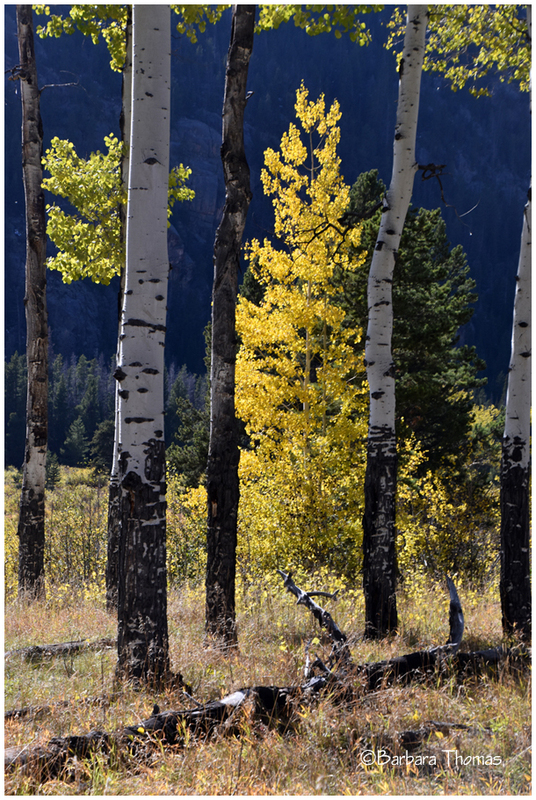 The aspens trunks make a good element in this picture of the beautiful aspen leaves. Very nice. So nice. I love that golden glow. Excellent framing between the two aspens!! The sunlight illuminates the foliage nicely.